This book was first published in 2014 by John Wiley & Sons Ltd. In 2018 the second edition was published. 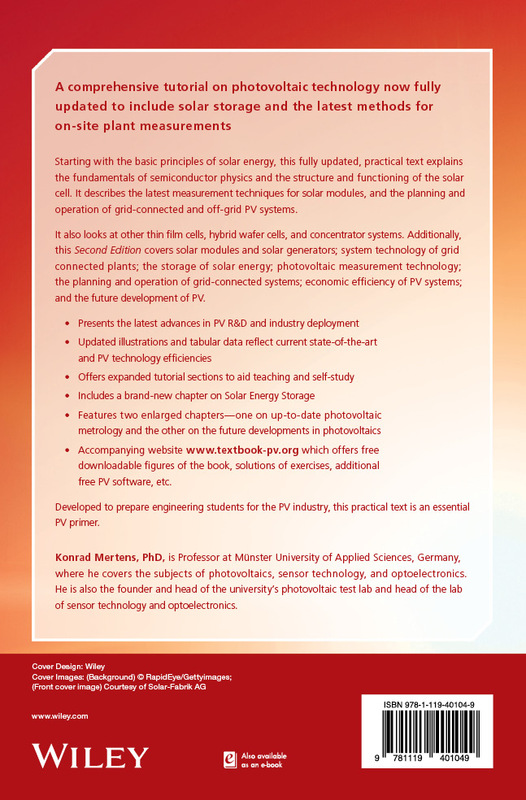 Beside updates it contains a completely new chapter about solar storage. 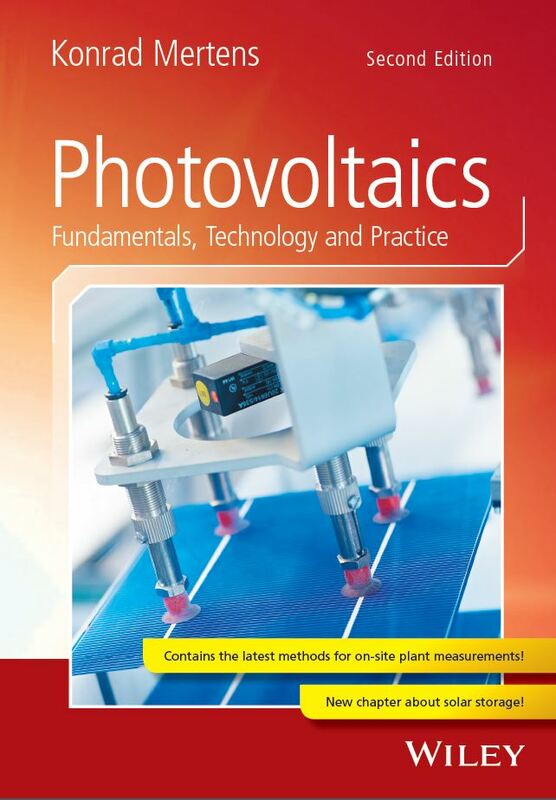 Moreover, the chapters about photovoltaic measurement technologies and and about the future developments of PV were extended. On these pages you find supporting software, downloadable figures of the book, solutions of the exercises etc.